BE82N - BE-N Series 82"
QB65H - QB-H Series 65"
QB65H-N - QBH-N Series 65"
QB75H-N - QBH-N Series 75"
QB43N - QB-N Series 43"
QB49N - QB-N Series 49"
QB55N - QB-N Series 55"
QB65N - QB-N Series 65"
QB75N - QB-N Series 75"
QH55H - QH-H Series 55"
QH65H - QH-H Series 65"
QM49H - QM-H Series 49"
QM55H - QM-H Series 55"
QM65H - QM-H Series 65"
QM43N - QM-N Series 43"
QM75N - QM-N Series 75"
QM85N - QM-N Series 85"
QM98N - QM-N Series 98"
DB43J - DB-J Series 43"
DB49J - DB-J Series 49"
DC43J - DC-J Series 43"
DC49J - DC-J Series 49"
DM32E - DM-E Series 32"
DM55E - DM-E Series 55"
DB55E - DB-E Series 55"
DC49H - DC-H Series 49"
DC32E - DC-E Series 32"
DC55E - DC-E Series 55"
ML55E - ML-E Series 55"
OM32H - OMH Series 32"
OM75D-W - OMD-W Series 75"
PH43F-P - PHF-P Series 43"
PH49F-P - PHF-P Series 49"
PH55F-P - PHF-P Series 55"
PM32F - PM-F Series 32"
PM32F-BC - PMF-BC Series 32"
PM55F-BC - PM-F Series 55"
PM43H - PMH Series 43"
PM49H - PMH Series 49"
PM55H - PMH Series 55"
UD46E-A - UD-E-A Series 46"
UD55E-B - UD-E-B Series 55"
UD55E-A - UD-E-A Series 55"
UD46E-B - UD-E-B Series 46"
UM55H-E - UMH-E Series 55"
OH46F - OH-F Series 46"
OH55F - OH-F Series 55"
OH75F - OH-F Series 75"
OM46N - OM-N Series 46"
PM43F-BC - PMF-BC Series 43"
QB75H-TR - QBH-TR Series 75"
UH46F5 - UHF Series 46"
UH46N-E - UHN-E Series 46"
UH55F-E - UHF-E Series 55"
SH37F - SHF Series 37"
Efficient Power Management with Low Active Write Power Consumption and Device Sleep Mode (2mW). This product is no longer available, please contact us for a replacement. 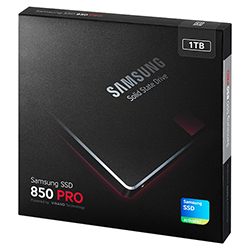 Designed for high-end computing on client PCs, our 1TB 850 PRO Solid State Drive (SSD) is powered by Samsung's own 3D V-NAND technology which delivers higher density and faster write speed compared with traditional 20nm planar NAND flash. 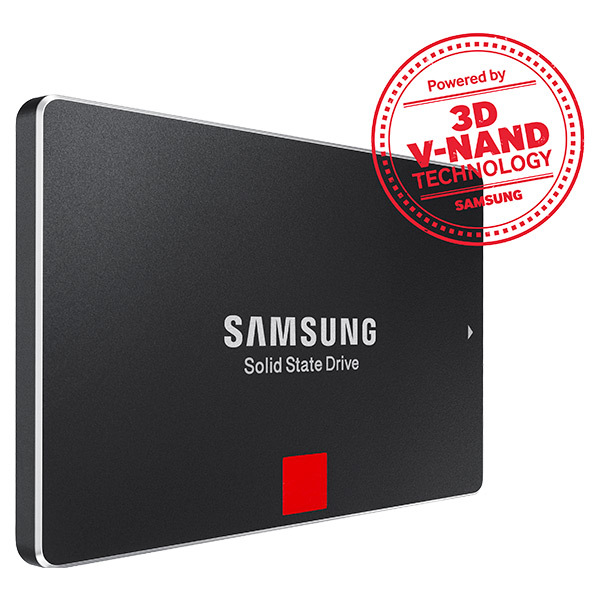 Samsung's own cutting-edge 32 layer 3D V-NAND technology delivers up to two times the density and write speed of traditional 20nm planar NAND flash. Experience a high 100,000 IOPS random read speed and 470MB/s sequential write speed. 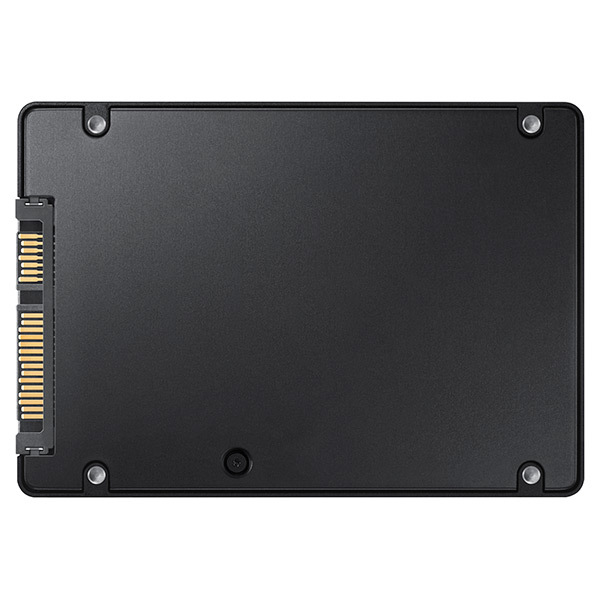 In addition, RAPID mode allows you to reach optional higher speeds, thanks to Magician software that allows you to enhance performance by processing data on a system level using free PC memory (DRAM) as a cache. With a top level industry warranty offering 150 Total Bytes Written (TBW) for 10 years, and our 3D V-NAND flash's higher endurance compared to conventional 2D planar type NAND flash, our 850 PRO SSDs can consistently meet the needs of high end use and heavy workloads with ease. 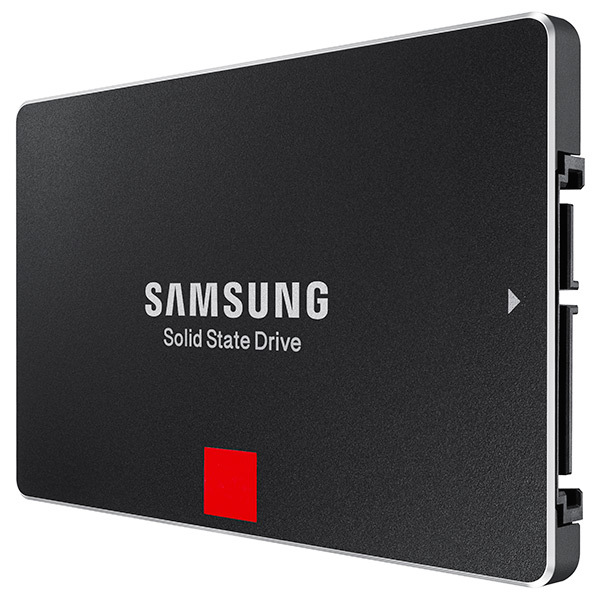 Thanks to exceptionally low active power consumption, you can work efficiently for long periods of time. Device Sleep Mode (2mW) is also supported for ultra-thin laptop PCs and high-end desktop main boards. 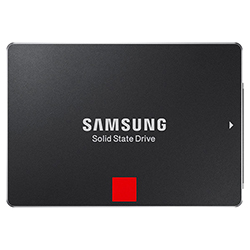 The drive includes an AES-256-bit hardware-based, full disk encryption engine that secures your data without sacrificing performance. 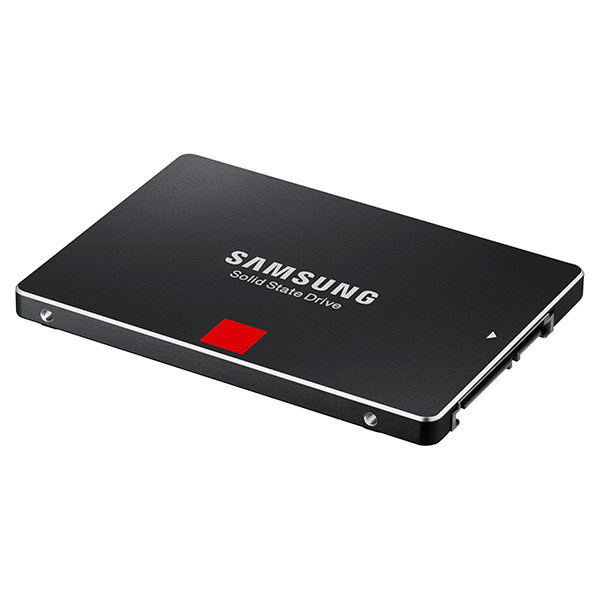 Enjoy end to end full integration with 100% Samsung Components, from the Samsung 3-core MEX Controller to the Samsung LPDDR2 DRAM cache memory and 3D V-NAND technology. 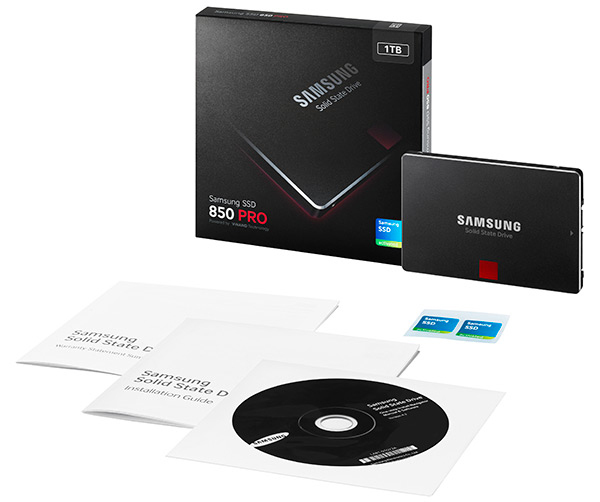 Product 3.94" x 2.75" x 0.27"
DigitalDisplayStore.com is a division of Virtual Graffiti Inc, an authorized Samsung online reseller.